I have always been a lover of doors and windows and everything that comes with the two. Every time I travel these are some of the things I actually notice on buildings and architectural wonders across Asia and the Americas. I decided to start an Instagram Gallery of all the doors, of beauty and character, that I encounter throughout my everyday life and memorable trips. 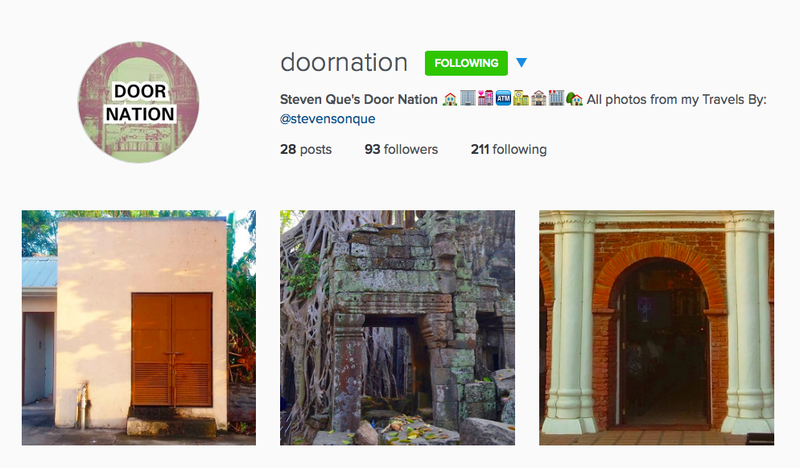 All these photographs featured at @doornation are all my shots using both my Nikon D3100 and Samsung Galaxy Grand Prime.